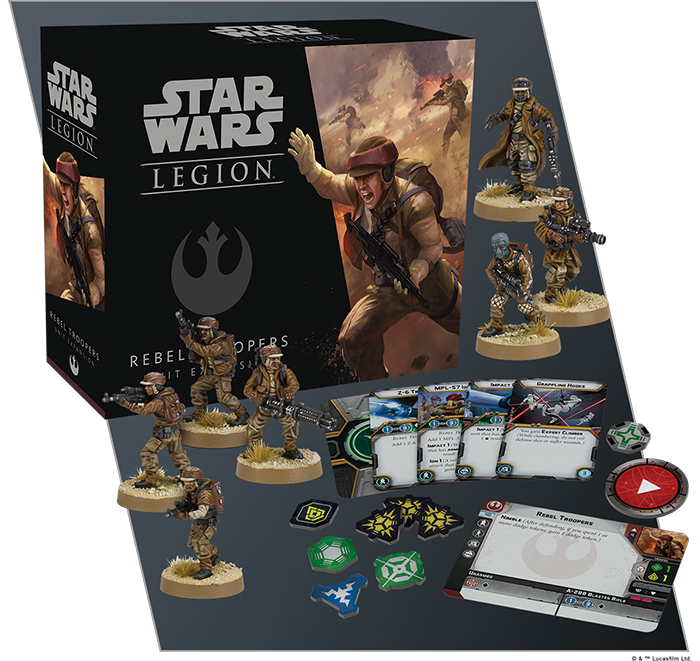 Fantasy Flight Game's announcement of Star Wars: Legion at Gen Con was one of the "big announcements" at the show. Well, now they're looking to show off some of the extra units you'll be able to get for the game. Some of these include rather iconic items like the AT-ST and Snowspeeders (technically known as the T-47). Check 'em out. When the Rebel Alliance first landed on Hoth, they found a cold and inhospitable planet—ill-suited to supporting life of any kind, much less hosting the secret base of a full-scale rebellion against the Galactic Empire. Still, the Rebellion survived, adapting their strategies, tactics, and equipment to deal with the oppressive environment. A crucial part of their survival was tinkering with their airspeeders to withstand the killing cold of Hoth. 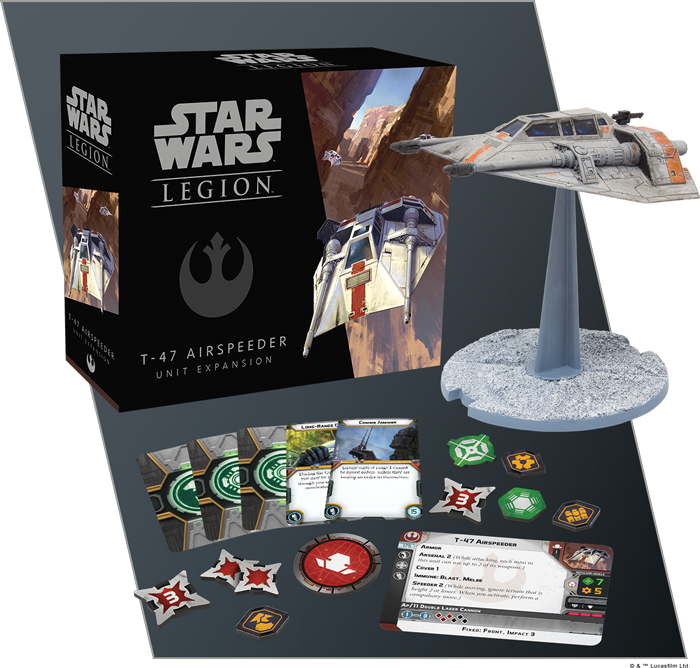 Soon, you’ll be able to outfit your Rebels with the same speeders: Fantasy Flight Games is proud to announce the T-47 Airspeeder Unit Expansion for Star Wars™: Legion! With the two new Unit Expansions listed above, you have the perfect chance to supplement your forces from the Core Set, bringing the might of the Empire to bear against all who stand in your way. 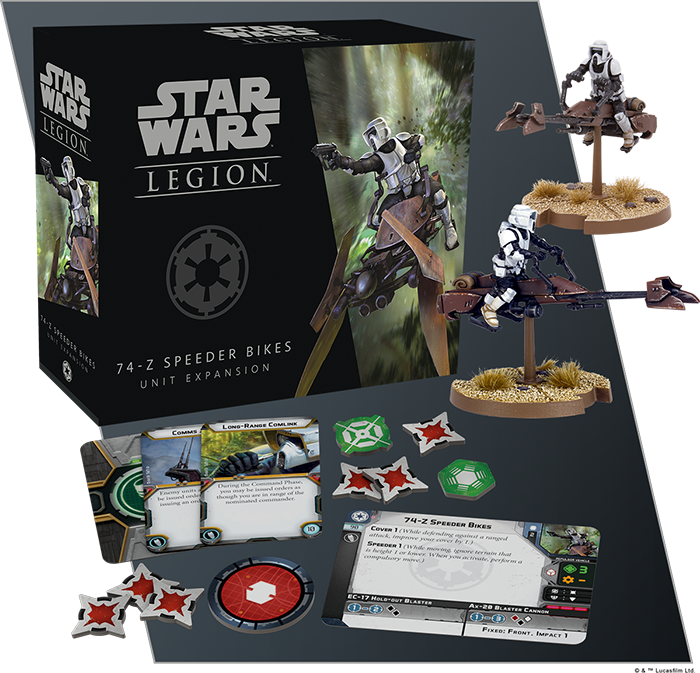 With squads of 74-Z Speeder Bikes and Stormtroopers, these Unit Expansions offer units identical to the ones found in the Core Set, letting you construct an army that plays the way you always wanted to experience the Galactic Civil War. With two new Unit Expansions, you have the perfect chance to supplement your Rebel forces from the Core Set, bringing more and more units to bear in the war against the Empire’s tyranny. 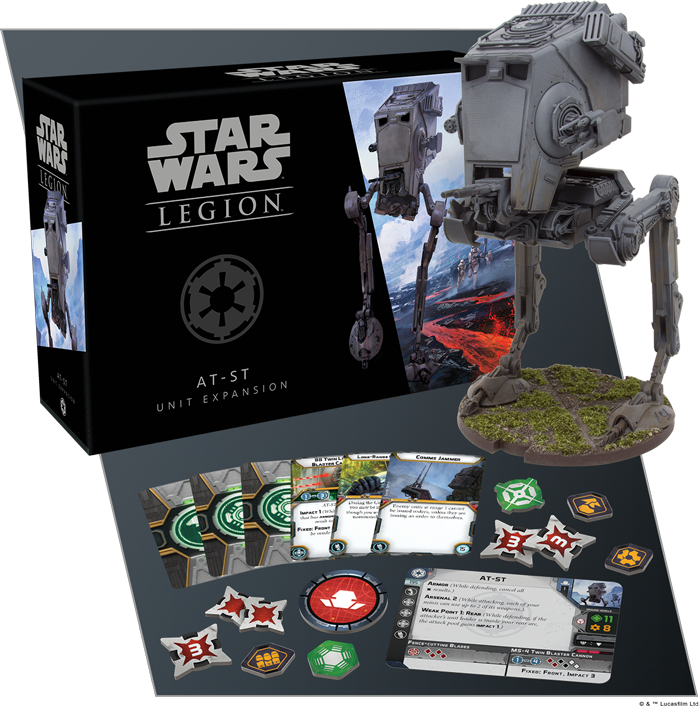 Containing a powerful AT-RT walker and more Rebel Troopers for the Alliance, these Unit Expansions offer units identical to the ones found in the Core Set, letting you construct an army that plays the way you always wanted to experience the Galactic Civil War. In the heat and furor of galactic war, small details can be easily overlooked—such as a small thermal exhaust port on a titanic superweapon. 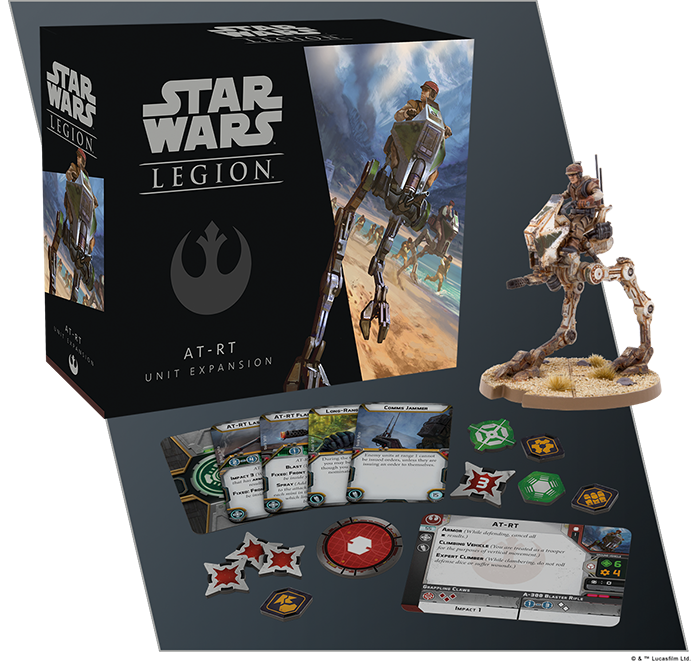 When you’re playing out the unsung battles of the Galactic Civil War in Star Wars™: Legion, you want to be sure that you won’t miss a thing. 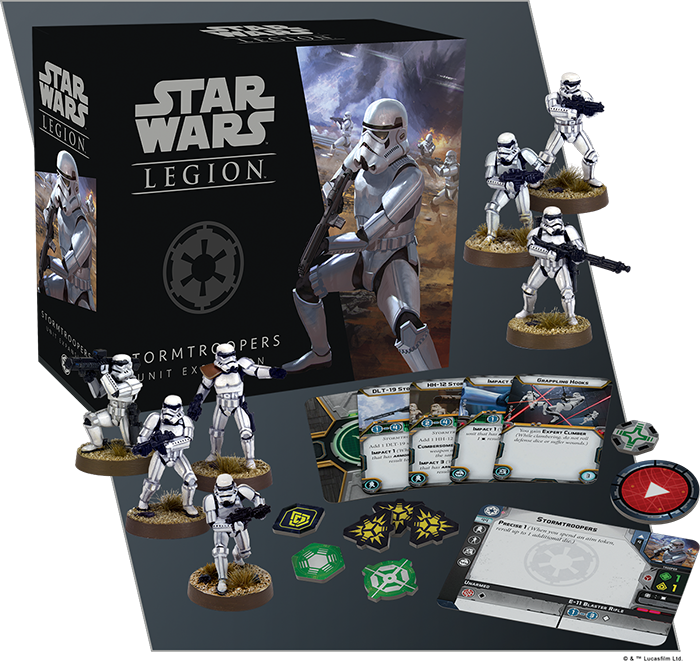 To that end, Fantasy Flight Games is proud to announce two tools of convenience: the Star Wars: Legion Dice Pack and the Star Wars: Legion Movement Tools & Range Ruler Pack. Pre-order the Dice Pack and the Movement Tools & Range Ruler Pack today, then read on for more information!